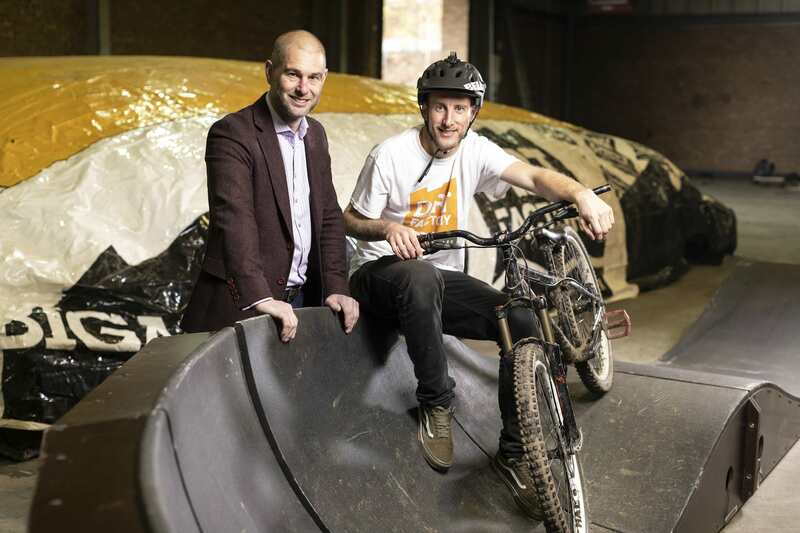 We’ve just received some very exciting news from a crew called Dirt Factory, who are set to open the UK’s very first indoor bike park – right in the heart of Manchester city centre! 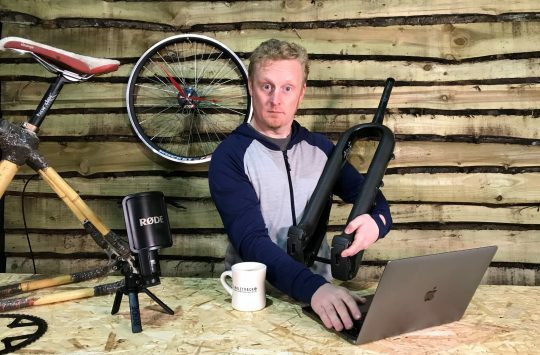 The Dirt Factory Indoor Bike Park will be built inside a disused warehouse, which is located on a 24-acre site at Mayfield, right next to Manchester Piccadilly train station. Launching in February 2019, the indoor bike park will be a temporary pop-up, though the founders hope to find a more permanent site to move to after the 2-year tenure at Mayfield. The Dirt Factory Pop-Up is being created inside a disused 25,000 sq ft warehouse off the Mancunian Way. 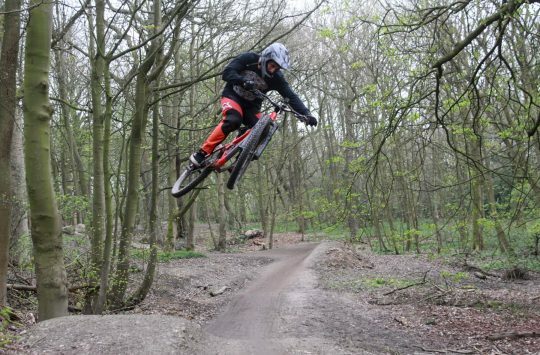 The brainchild of five passionate cyclists who have raised more than £400,000 through a crowd-funding website, Dirt Factory aims to bring high quality bike trails to the heart of Manchester. James Heather (left), Development Director for the Mayfield Partnership, & Dan Makin (right), Dirt Factory co-founder and Managing Director. The Dirt Factory Pop-Up will house a range of exciting bike trails and features, designed for riders of all ages and abilities. It will be an evolving creative space where individuals, friends and groups can ride together, have fun and take their bike skills to the next level. 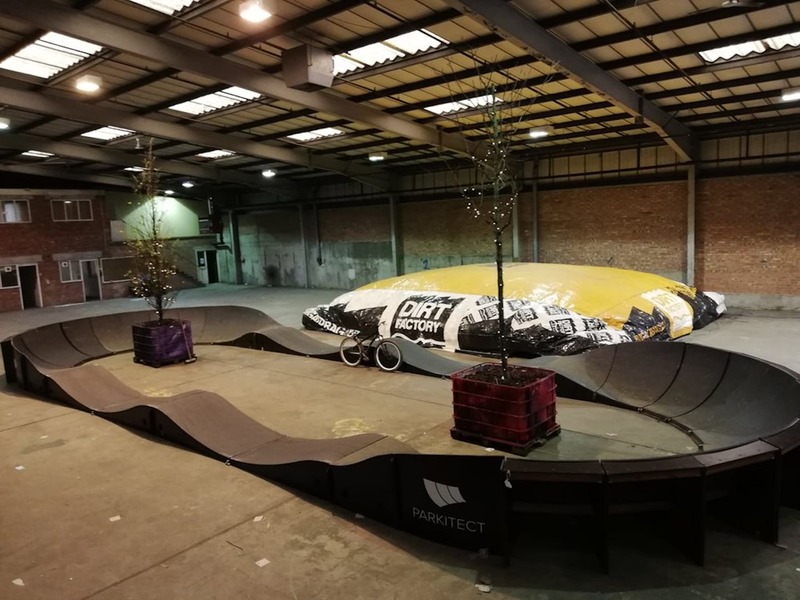 The Dirt Factory Pop-Up will be open for up to two years ahead of the business moving to a permanent home at a larger facility in Greater Manchester. Dirt Factory has put on numerous events already with a rent-a-pump-track and airbag. The Dirt Factory Indoor Park is set to go to a whole new level though. “Since the formation of the Partnership nearly two years ago we have focused on learning about the heritage of this site and listening to a wide range of people about what they would like to see here. This has been invaluable in helping shape our long term vision for Mayfield. In 2016, U+I were appointed as development partner to deliver a wholesale regeneration of the Station and its surrounding areas. The Mayfield Partnership have brought parts of the depot back into public use through a wide range of events including the weekly GRUB street-food fair and a host of one off events including everything from private functions, weddings and trailblazer events from the Manchester international Festival programme for 2018. So what do you folks think about the proposed indoor bike park? Keen to check it out when it’s open? If you want to stay up to date with the park’s progress, head to the Dirt Factory website here, and you can also check out the Dirt Factory Facebook page, Twitter feed, and Instagram feed. I thought Sheffield had one a few years ago? Farmer John’s build crew have been working on it, so should be good fun! Yep – Sheffield had one a few years ago. 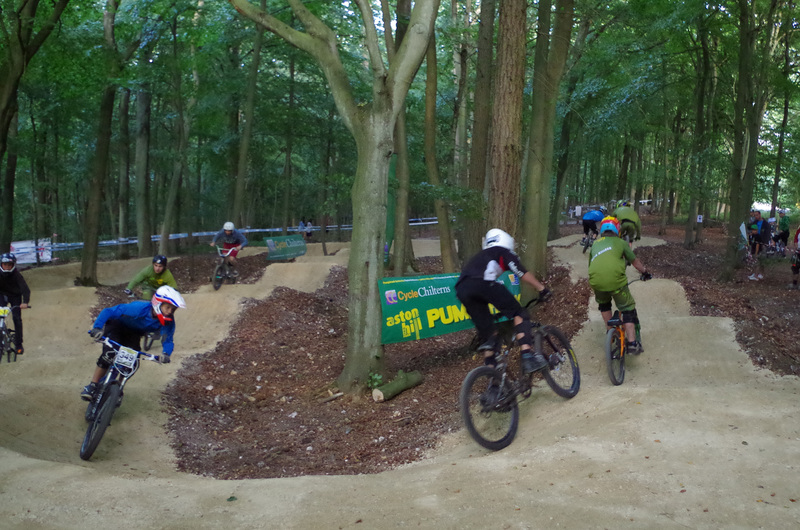 It was more of an indoor BMX track and was in Chapeltown. Fab news. Great location too with Grub round the corner. They also have parking and the advantage of Piccadilly Station, although Northern Fail might not be too accommodating with loads of bikes coming in via the trains. Going to get booked into here when it opens, especially if they do skills training (as someone who doesn’t jump).